Arguably the jewel of Kenya's wildlife sanctuaries, Maasai Mara hosts the annual wildebeest (gnu) and zebra migration of over 2 million animals between Kenya and Tanzania during the months of June-October. 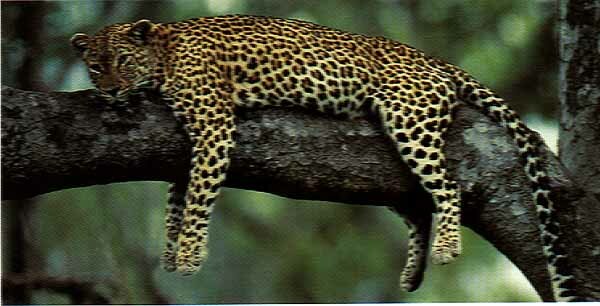 The 3-day Maasai Mara camping safari tour is about having a close encounter with the wildlife population of the region. You can easily spot Lion, Cheetah, Elephant, Buffalo and several other jungle beasts on your safari trail. African wildlife safari in Masai Mara camping: camping safaris in Kenya, Maasai Mara camping, Kenya camping safaris. Enjoy Masai Mara camping safari tour, Kenya budget trips to Masai Mara for wildebeest migration on a camping trip to include Maasai Mara. Masai Mara budget camping tour, Maasai Mara camping, Kenya camping safaris, Masai Mara migration trip, camping tours Kenya, join camping safaris, join Masai Mara camping tour, Masai Mara group safari. Depart Nairobi in the morning and drive along the floor of the Rift Valley with lunch enroute to Maasai Mara arriving camp in the afternoon. Later proceed on an evening game drive. Dinner and overnight at a campsite, B,L,D. A full day in Masai Mara with two daily game drives in Kenya's most popular game sanctuary where you will have the best opportunity of spotting the Big Five (lion, leopard, buffalo, rhino and elephant). Optional visit to a local Maasai village at $25 per person or hot air balloon ride at $425 available.. Dinner and overnight at the camp. The Maasai Mara Game Reserve is arguably Kenya�s most popular game sanctuary. It is the most famous and most visited game reserve in Kenya. The film �Out of Africa� was made to a great extent in this reserve. Virtually every type of wildlife can be seen at the Mara. A spectacle worth seeing is the annual migration of millions of wildebeest, zebra and gazelle from Serengeti plains across the Tanzania border and the Mara River to reach Maasai Mara grazing fields from late June. The dramatic crossing of the river and the preying on the migrants by predators can be viewed from early July to August. The reserve abounds with birdlife since dose to about 452 species have been recorded. Hot air balloon safaris are readily available in this park, B,L,D. Morning game drive then return to the campsite for breakfast .We drive back through the Masai town of Narok and stop for some souvenir shopping, before continuing across the plains to Nairobi where the safari ends, B.
Bush Camping for those on a shoe-string budget are available at unbeatable prices. These include three to five days wildlife safaris that take you to the famous Maasai Mara and through the Great Rift Valley to the flamingo and Rhino sanctuary of Lake Nakuru. Transport is by seven seater safari minibuses with a professional driver and cook. The roofs pop-up to enable quality game viewing on a Masai Mara camping safari, Masai Mara camping tour, Kenya budget trips, Maasai Mara wildebeest migration, camping trip Maasai Mara.